I’ve gotten caught up with nearly all of My Little Pony: Friendship Is Magic. I watched the movie in theaters, but I stopped mid-season 7 and I doubt I’ll finish. However, I won’t rant about that. I’d need to make an entirely new post. Fluttershy is the embodiment of kindness. Or she’s supposed to be, according to the show. And while she does live up to much of the time, I think there’s another element of personality she seems to fit better. Let me say right now I do like Fluttershy and, up to a certain point, she was my second-favorite character (the first was Twilight; was, as Starlight has now become my personal preference over Twilight). However, I have an issue with what the writers deem to be “kindness”, and there are times when it seems “kindness” is confused with “naïveté”. The worst example I can think of the top of my head is an episode where she’s chosen to reform a godly chaotic creature precisely because she embodies kindness. Unfortunately, “carpet” would be more accurate. Her way of reforming him is to allow him to abuse her kindness (and I say allow because she’s fully aware of what she’s doing), to get angry with her friends when they attempt to protect her, and allow said creature to endanger one of her friends’ homes (and means of survival; said friend runs a farm), her friends themselves, and by extension, the entire country. In other words, her way of reforming him is to allow him to unleash whatever chaos he wants with zero consequences, in the hopes he’ll change if she tolerates it long enough. First of all, taken out of context – actually, even in context – this is ultimately an episode about a woman enduring a man’s abuse in the hopes she can change him. Thank you, MLP writers, for giving little girls that lesson. I’m sure the real world abusers weren’t already doing a good job. That troublesome fact aside, this episode emphasizes better than any other what the issue is with Fluttershy supposedly embodying kindness. “Kindness” should not equate to letting someone walk all over you, and while there have been episodes about Fluttershy learning to stand up for herself, they tend to be forgotten, likely to work for episodes like the one I just described. In fact, a common complaint of the show is the lesson fails to stick (though it seems it eventually does by the latest season), something the writers created an episode to say they were tired of hearing (again, a rant for another day). It’s not unkind to refuse to be a walking carpet. It is, however, very unkind to endanger your friends’ lives and refuse to see what your negligence is creating. The only reason she’s successful in reforming the creature is because she eventually snaps at him when he finally makes it clear he was using her all along. In other words, she does something unkind to reform him. Ironically, she called her friends out moments before she snapped on apparently thinking she was a “silly, gullible fool”. Let’s just say when she asked that question, I said yes to the television. If you need someone to spell out they are abusing your kindness when they’ve already done every conceivable action that would make it obvious to anyone with working brain cells and minimal perception, yes, you’re a fool. The other example I put high on the list is one that involves the aforementioned friend’s farm (yes, out of “kindness”, Fluttershy endangered her friend’s way of living twice). Her friend’s farm was invaded by pests and the friend, understandably, wants to get rid of them. Despite that she only wants to move the bats away from her farm rather than outright kill them, Fluttershy acts as if she does want to kill and insists she should instead give the pests part of her farm as a sanctuary. First off, anyone who is a real animal expert (annoying fact: Fluttershy admitted she knew nothing about the creatures; meanwhile, her farmer friend did) could probably write a list of reasons as long as their own body about why that’s not a good idea. The episode itself fails any kind of logic in animal expertise. Instead, any logic whatsoever takes a backseat to “kindness” because it seems disregarding a threat to your friend’s home, livelihood, and family’s means of survival is very kind. Keep in mind the pests essentially trespassed onto her friend’s farm, but Fluttershy is supposed to be right because “they’re just hungry”. Never mind that moving them, like her friend wanted, would solve that issue. The implication here is innocuous reasons excuse bad actions. Fluttershy is “right” because she’s the kind one, despite she knows zero about the pests and farming in general, and if the show didn’t need to have a “kindness always wins” moral for its target audience (no matter how wrong it really is in its context), her friend’s sound reasoning and logic would’ve rightfully won out the argument. Many people excuse flaws in shows like MLP because “it’s a kids’ show”. The problem is that’s why it deserves criticism. Name me a parent, especially a parent of a daughter, who wants their child to learn the lesson that putting up with mistreatment is “kind”? That you can change even the worst people by letting them walk all over you? That it’s good to push away your friends who are rightfully concerned for you? What parent would willingly teach their child taking in random creatures is a good idea? That all creatures are okay to keep around? That “kindness” means ignoring all logic and potential consequences, even if you haven’t a clue what you’re talking about? If I had a child, especially a daughter, who liked MLP, I would filter out the episodes like crazy. Kids are not dumb and, contrary to popular belief, capable of seeing problems in media, whether or not they have the words to express them. And eventually, those kids will grow old enough to talk about them. As I said, however, Fluttershy’s repetitive lessons about being more assertive do seem to have finally stuck as of late, so hopefully, the writers will be more careful with her “kindness”, and consistent in differentiating being kind and being a doormat. After all, “this is a kids’ show”, so let’s have some more careful evaluation of what we teach and aim at kids. A common question kids are asked is what they want to be when they grow up. As teens, that question becomes, “What do you want to do after high school?” (usually, the expected answer is college and little more than that). As an adult, the question is, “Where do you see yourself in five years?” Or any number of years, but I’ve mostly heard five. For me, the answer is: I don’t know. While I’m not one to think life just happens with zero control over its events, I don’t think in the other extreme of having absolute control over everything. My life certainly has not gone as planned, and I do not mean solely my adulthood. My life has been going unplanned since my childhood days. While I’m not entirely ungrateful, it’s only because the end result is I lived through it to reach what I’m happy to have now. And even that can be counted on one hand. Something I have noticed with my co-workers is almost everyone either attends college or has a second job. The former is obvious, but in the case of the latter, it’s simply because it’s that hard to manage for them. And of the jobs I know, their first ones aren’t what’s usually considered low-paying. On one occasion, I also had a customer mention he works three jobs. Why? To pay his mortgage. Even my former clinician, who is well-established in her career of 10+ years as a psychologist by now, has told me she and her husband resides in his family’s home because they struggle financially otherwise. That is truly terrifying to me, even more so than having nothing planned to begin with. I understand what they do is out of necessity, but merely one job for me creates feelings my life is slowly descending into a meaningless existence of work and sleep. To need to hold two or three to survive? I question if passing life in a coma would be preferable. I suppose those examples emphasize everyone has it hard in some way, but that’s little comfort to me. I do not want to have the same struggles at 33 I’m having at 23. If someone were to ask where I see myself in five years, I truly couldn’t answer. Any position I’ve gotten myself in, especially my job, has been unexpected. If someone asked me in 2015 where I saw myself in 2016, the answer would not have been anything close to working. The truth is I cannot see myself in any position I’m not currently in or haven’t been in previously. Until it happens, I subconsciously believe it can’t happen. Perhaps this is another discovery of adulthood taking me by surprise and I’m slow at keeping up. At 23, I feel as if I haven’t aged a day past childhood, despite my life as it stands resembles nothing of my childhood (and I’d have killed myself by now if it did). In the end, many things feel very confusing and I’m uncertain if they’re supposed to feel any other way. The one thing I’m certain of is no matter how much I learn, how much better I supposedly become, I still feel like I know absolutely nothing. That makes no sense, and as far as I can tell, neither does much else. Yes, I mean the main protagonist of My Little Pony. I had zero intention of ever watching this show, but my boyfriend is a fan of it and urged me to watch it. Eventually, I gave in and watched the first episode. I was instantly in love with Twilight. But I don’t like what happens to her. Let me make my annoyance obvious. In the episode summary on Wikipedia, she’s referred to as an anti-social pony. Anti-social. I hate this. I despise introversion and being reserved are seen as negative traits. Why? The second episode revealed why these events were necessary. That doesn’t help because it still portrayed Twilight preferring her alone time as a bad thing and her preference only changed because of an emergency matter (I’m not going to rant on why Celestia thought it was a good idea to form an entirely luck-based plan instead of be directly upfront with Twilight, or I won’t shut up). I know it’s a common thing in cartoons for lifelong bonds to form instantaneously, and I’d absolutely expect that in a cartoon with friendship as its theme. Except maybe that’d be a reason to have the friendships form more realistically instead of in such a cliché way. I love my best friend like she’s my sister, but I sure didn’t feel that way a day after meeting her. But cliché formulas are also common in cartoons, especially ones intended to have lessons taught through the episodes. I probably seem strange to have a rant about this. After all, I have a best friend and a boyfriend, so why would I be bothered by a loner character learning about the “magic of friendship”? Easy. I just said it. It only happened because of an emergency matter. No relationship works like that! Friendship and love (of all types, not only romantic) are amazing things, but they don’t happen instantly (before you argue with parenthood: oxytocin). Strong bonds don’t form overnight in any situation. I am more outgoing than I used to be, but that took years. I wasn’t suddenly no longer an introvert or reserved because I met my best friend one day ago. Guess what? I’m still introverted and reserved, and I still despise most people, something working in retail has actually made stronger due to being in constant contact with people. Whatever percentage the number three is of the human population is the percentage of people I like having around. These two episodes would’ve worked better as a season finale, not a season beginner. I could almost understand these traits being portrayed negatively if Twilight was evil, but she’s not. In fact, despite being obviously unhappy about being sent to the festival/party, she was polite to the others while trying to get away from them as quickly as possible, and if memory serves, she did help when one of them almost hurt herself by accident. She’s not mean, and wanting only her books as company doesn’t make her mean, bad, or evil. I’ve yet to watch another episode because this kind of treatment with introverted characters puts me off watching anything more of whatever media it is. However, I went through her character list on TV Tropes and it seems, for the most part, she still keeps her introverted personality and she does slowly change over time instead of instantly. That sounds much better, though it doesn’t change my opinion about the first two episodes. The downside is, if TV Tropes is accurate, she rivals Pinkie Pie in exuberance by the latest season. I hate to admit it, but I find Pinkie Pie annoying, as I greatly dislike overly energetic characters who behave like they’re drunk on happiness. Of course, I doubt I’ll get as far as seven seasons anyway. It took me over three years to get to the fourth season of Sailor Moon, and I’ve only watched three episodes of that. 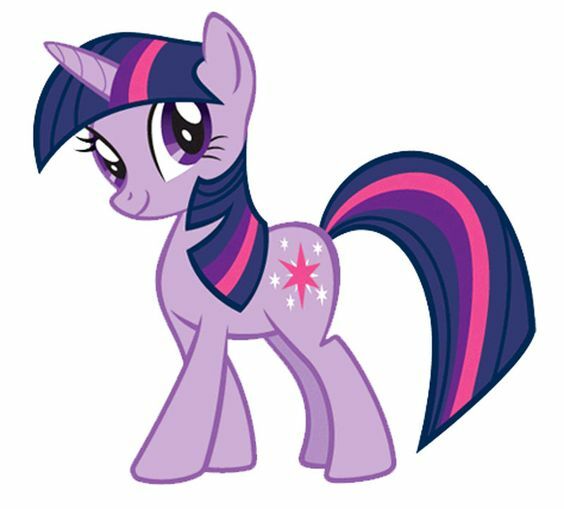 If I do continue watching MLP, I’m hoping to find Twilight’s friends aren’t the pushy type who will continuously try to “pull her out of her shell” and nag her half to death about “opening up”, and will instead respect her wishes if she wants to be alone to study, read, or whatever else. I don’t think it’s wrong (however cliché it may be) for loner characters to go on to learn about friendship and love, or even for their personality to eventually flip a 180. I do think it’s wrong if the path that gets them there portrays that part of their personality as an issue and to be dealt with by forcing them into such situations (as with Twilight) instead of letting them develop willingly. And for heaven’s sake, I hope Celestia is more direct and upfront instead of continually being cryptic and secretive, but since when have mentor characters ever done that? But that’s a whole different rant for another day. The Struggle of Getting Dressed? My favorite thing about no longer being in school is not having to wear uniform. However, there’s something I just do not understand. I’ve read some students prefer school uniforms because it takes the struggle or fuss out of getting dressed in the morning. My question is: How? In what way is it difficult to get dressed? I was capable of dressing myself from the time I was three years old. How is it possible to be old enough to be in school, especially high school, but incapable of getting dressed unless someone tells you exactly what to wear? From kindergarten to 12th grade, I attended four schools in total. Two required uniform and two didn’t. I had zero trouble getting dressed for the schools without uniform. There was nothing difficult about it. There was no struggle at all. I put my clothes on and I left. Easy. Plus, if it’s really hard to dress yourself without uniform, how do you dress on days you don’t attend school? Do you wear the school’s uniforms on those days too? If it’s really that hard, I can’t imagine how you’d manage on the weekends unless you have something that requires wearing uniform on those days too. What about summer break? That has to be a strain. Perhaps they don’t enjoy summer break since uniform isn’t required? I probably sound like I’m being sarcastic with this post, but I’m genuinely confused and curious. I have been out of high school for four years now. I’ve had absolutely zero trouble dressing myself without being told what exact clothing to wear. To my knowledge, most colleges don’t require uniform, so how do these students who struggled to dress themselves without uniform requirements handle the matter if they move on to college? Truthfully, my biggest confusion is why anyone would want to look identical to everyone else. I couldn’t care less about fashion, but I’m not anyone’s identical twin. I don’t want everyone to look exactly like me nor do I want to look exactly like everyone else. I also found most of the “benefits” of school uniforms are absolute lies, particularly that they prevent bullying (whoever said that never dealt with bullying) and create a sense of belonging (Why would I want to “belong” to this place I didn’t choose to attend?) and unity (again, bullying disproves that). I do know there is a fetish for school uniforms and were I talking about that, I’d understand the preference for it. But that’s not the context here. In the end, my question remains the same: Why is dressing yourself in your own clothes such a difficult task? I understand everyone has their strengths and weaknesses, but this is about putting clothes on your body. Why do you need someone to tell you “put these clothes on your body” or you can’t do it? First, it seems I’m terrible at keeping up with my blog’s anniversaries. After May 22nd, my blog turned five years old. Maybe I should start making a yearly scheduled post for that. Now, on to the topic at hand. A stereotype of only children is they are spoiled because of their lack of siblings. Some people think it’s selfish not to give a child a sibling, and some only children do grow up to say they wish they had siblings. I’ll be honest. Hearing these things makes me cringe, especially the former. Why? Because they’re idealizing having a sibling. I don’t think people who consider it awful for a child to have no siblings, or who wish they themselves did, realize having a sibling is no guarantee of not being selfish or never being lonely. I don’t believe they realize that sibling could very well be someone they don’t care to have in their life. Having a sibling does not automatically mean you have a built-in playmate/best friend for life. My mother had two children while my father had one, so I somewhat got to experience being an only child while growing up when I visited him. I much preferred the only child life. Just about every positive reason stated for having siblings never existed for me. Taught me how to share? My sister and I only shared if forced, and I hogged my things because she continually lost or broke them. My mother forced me to loan her my baby blanket for the kindergarten (I was 8). At the end of the year, she never retrieved it, so it was thrown out. My 8-year-old self was furious because that blanket was one of my favorite possessions. But the reason I argued (and lost) against her borrowing it in the first place is I knew she’d lose it. As an adult, I still hoard things, and part of the reason I tend to buy excessively is that I can finally live without worrying where my stuff will disappear off to. Playmates and best friends? Again, not unless forced. Otherwise, we either played alone or played with our school friends. My sister and I fought constantly, and the only time we got along on our own was to (figuratively) beat somebody else down, which usually meant drive the adults crazy. I remember people used to say we’d grow up to be best friends. At the ages of 23 (me) and nearly 20, that ship has sailed. Our relationship as sisters borders on dead. My best friend and the person I call my sister are the same person, but she’s not genetically related. Never being lonely? I don’t even want to talk about this. All I have to say is loneliness due of no people is no better or worse than loneliness because of people. Teaches eldest siblings to be responsible? First off, I want to hang the person who came up with the notion that oldest siblings should be live-in babysitters. If someone asked me why I want nothing to do with parenthood, the answer of “being forced to babysit my sister” would be in the top three. “Babysit” was essentially the short way of saying “everything your sister does is your fault, no matter where I am in the house”. My sister never got in trouble unless I also did. This didn’t stop until I moved out of the house, which means even at age 13, my sister was deemed “too young to know better” and I was “supposed to set a good example because I was the oldest”. Why was I supposed to enjoy this again? Ironically, babysitting other people’s children as an adult wasn’t an issue for me. Perhaps it being voluntary has to do with it? I know everyone is entitled to their feelings, but I wish people would stop thinking “siblings = automatic BFFs” because it truly does not. Siblings are essentially hit or miss. If you’re fortunate, the stereotypes are true and you luck out. If you’re not, you get a situation like mine, where your sibling only talks to you to start an argument at four o’clock in the morning. There have been brief periods of time where we do get along, but they’re sporadic at best. I’ve said before if I wanted to be a parent, I’d be “one and done” because I’d have zero desire to put up with what I went through with my sister. If my hypothetical kid was really so lonely, I’d let them adopt a pet. Really, I did have a cat for a few years while growing up. Much better company.